Hehe, welcome to the penultimate St. Paddy's 2014 post! I have so many beautiful green polishes, so today I used three of my favourites to do a shiny, foily, blingy, glittery, yet simple look! The base is two coats of Sally Hansen Xtreme Wear #40 Emerald City. 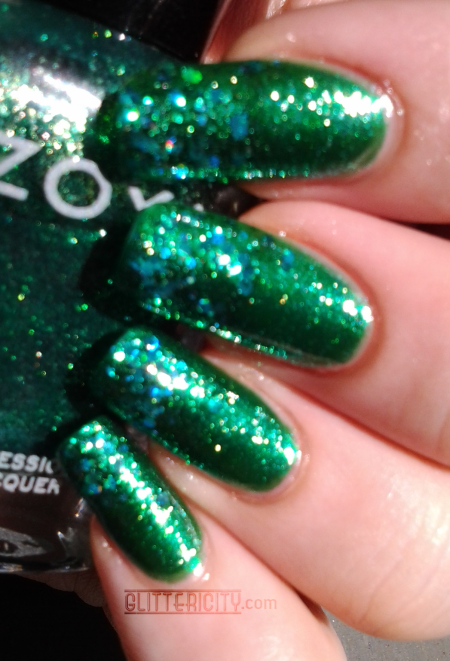 Atop that, a coat of the best green polish of all time, Zoya Ivanka. 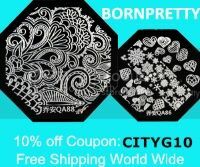 *_* foily glassflecky glowy BEAUTY! The tips are sponged with a couple of coats of Orly Mermaid Tale, another top pick. 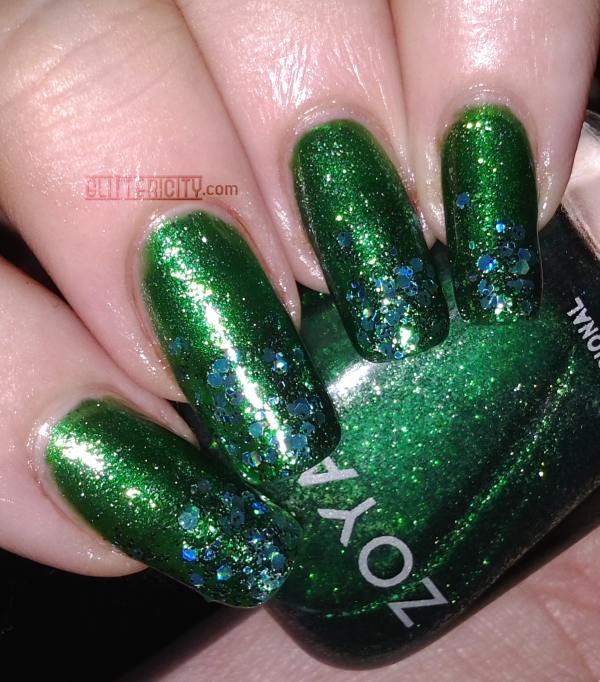 Brilliant emerald small glitters with big green holo hexes? Awwwww yiss. Two generous coats of Seche Vite smoothed out the glitters for a glassy finish. Outdoors in sun. Ivanka looks bluer here than IRL. Indoors with flash. Now it's Mermaid Tale's turn to look blue. 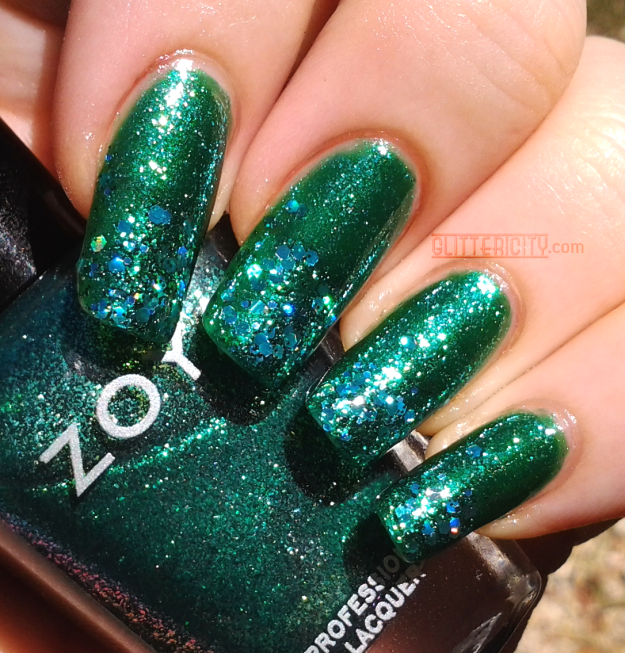 Being holo, it flashes with lots of colours, but the primary hue is emerald green. This is one of those manis with which it's dangerous to drive. Way too easy for it to glimmer and catch your eye and then you start staring at it... oops!